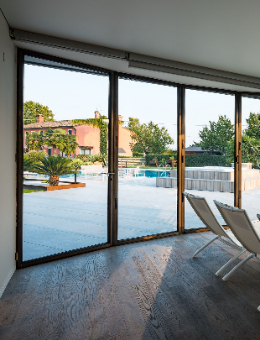 All of our products at Steel Windows and Doors USA are custom made and available in a wide variety of styles and configurations. Below are just a few of our most popular products, and not all offerings are shown below. Please contact us directly to discuss your window and door project. 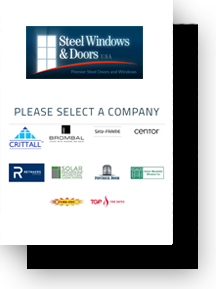 We are proud to be one of the exclusive distributors of the world’s first thermally broken steel window, door, and curtain wall system. 200+ profiles and hundreds of color/finish options allow the freedom to create, while rigorous testing ensures high product performance. Brombal has nearly 50 years of experience and is the only manufacturer who has been involved since the inception of the first thermally broken steel window and door, and continues to provide countless hours of research, development, and hands on fabrication. Products are available in galvanized steel, stainless steel, Corten steel, brass for a bronze aesthetic, bi-metal options, and metal-wood options. The proof is in the experience with hundreds of successful projects completed to date with many of the top architects and builders in the country. Discover freedom to create with Brombal’s solutions for the most challenging window and door projects along with high testing standards: Many Brombal units have been NRFC tested and hurricane impact rated. Crittall is the world’s oldest and largest steel window and door manufacturer, dating back to 1849. The steel sections utilized to fabricate these frames have been made the same way for over 160 years: a molten hot steel bar is pushed through a series of rollers to form the shape. 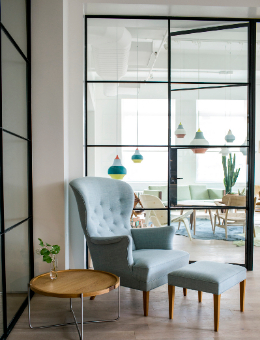 Crittall hot rolled steel windows and doors are trusted, tried, and true. 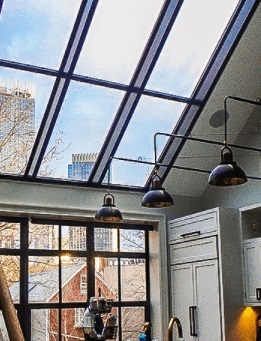 Choose from four different Crittall frame sections that are used to fabricate units: Our Crittall Homelight series is utilized to replicate historical restorations and create new builds. 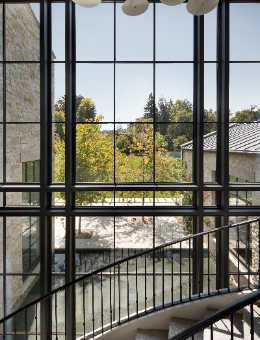 Our Crittall Berkeley series was developed specifically for Yale University, offering the look of a putty glazed window while allowing for ¾” insulated glass and achieving maximum energy efficiency. Crittall W20 is the most popular and versatile section, used for everything from historical replication to modern designs. Corporate InnerVision creates interior steel and glass walls and partitions. Brombal lift and slide doors provide a great deal of flexibility for creating a large glazed opening. These doors use a roller system that allows door panels to be lifted above the flush track, so that they roll easily for opening and closing. When the door is lowered, its weight, a multipoint locking system, and special gaskets make it secure and weather resistant. Tilt and turn windows have been used in Europe for many years for their dual functionality. 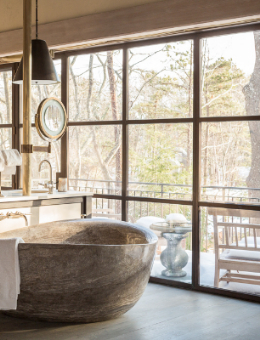 The hardware allows the window to function as either a side hung casement window or can tilt in for ventilation. Sigenia hardware is utilized and can provide both a hinged or hingeless option. 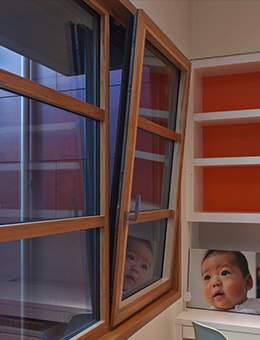 Inquire for information about more specific functions and options with our Brombal tilt and turn windows. 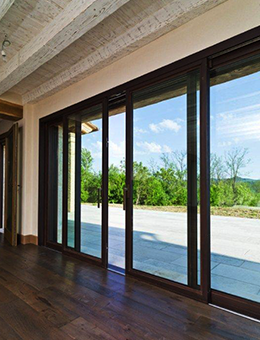 Brombal bifold doors are excellent in areas where unobstructed views are desired. Utilizing our Brombal thermally broken system ensures high energy performance along with narrow sightlines which are much smaller than aluminum, and can span larger openings due to the structural stability of steel sections. Units can hinge from the inside, outside, or in the center to take maximum advantage of the available space. Brass creates the warm, lustrous color typical of old bronze and its unique aesthetic qualities. It’s the ideal choice for restoration of old buildings, where it blends perfectly with the architectural design. Brass is particularly resistant to atmospheric elements making it the perfect choice for coastal applications. From historic renovations to modern architectural designs, the elegance and strength of brass make a beautiful design statement. Fire-rated window, door, and curtain wall products are able to prevent fire from spreading. Giving continuing support to building and home structures, fire-rated window and door frames are ideal where codes require them. These products come in a variety of styles, types, colors, and sizes. 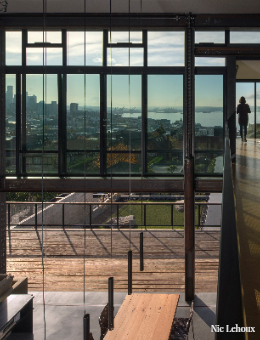 Our Brombal Curtain Wall system offers narrow sightlines with structural integrity and high energy efficiency. 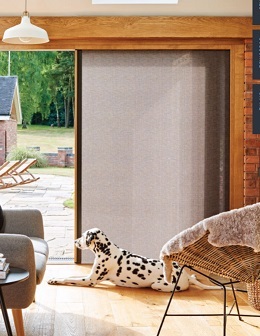 The Brombal thermally broken product is ideal for homes and offices where large walls of glass are desired. 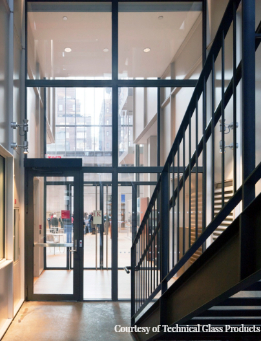 Steel Windows and Doors USA distributes skylight products to meet the design needs of our clients. Skylight windows come in various styles for residential and commercial applications. Custom buildings call for custom skylight solutions. In addition to the above, we offer automated & manually operated units, impact rated units, interior glass walls, aluminum & wood products, screens & blinds, and more. Contact us directly for specific product inquiries to achieve the desired look for your unique residential or commercial project.